New to being a room mom? Or looking for ideas? 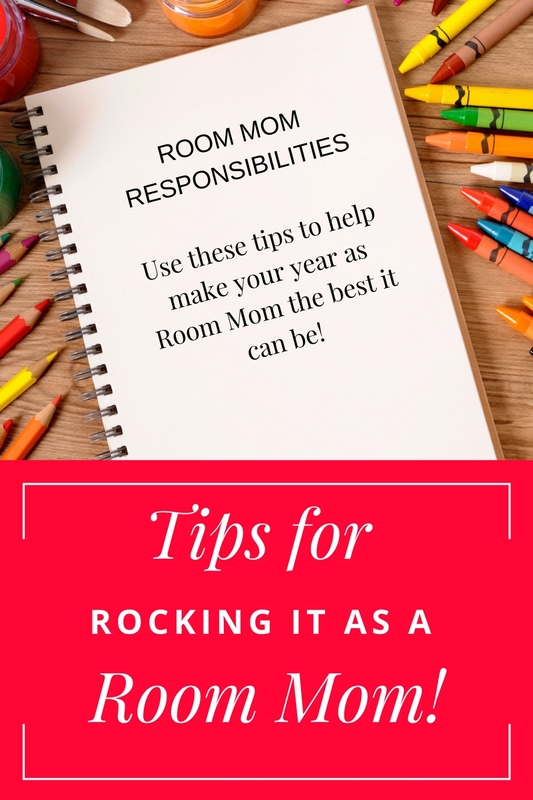 Here are some tips for making your year as room mom a success!! A room moms guide to staying organized. I admit, I was really excited to sign up as a room mom when my oldest started school. I always wanted to be a part of my kids’ classrooms and be as involved as possible in their school! While I don’t have years and years under my belt, I’ve now been a room mom for two years and I’m on my third. I’m totally crazy too because I’m actually a room mom for both of my kids! But I’m confident it will work out and I’m excited for the year! Here are some tips and ideas I’ve learned and tips I’ve picked up from other veteran room moms that will help you make this a great year! #1: Meet with the teacher at the beginning of the year. This is definitely a must! In our school, the parent organization has a Room Mom meeting at the beginning of the year and invites the teachers to come. At the end of the meeting, all the moms get to sit down with their teacher and get to know the class better as well as teacher expectations. This is where you can find out if the teacher has his/her own ideas for parties, if there are any allergies to know about, etc. You can use these printables to help you out at the meeting! It’s so hard for me to keep it simple sometimes! I get big ideas and it’s hard to stop. But, keeping it simple is important because you will also be working with other people! You may have another parent you’re working with and you will have volunteers for class parties too. If it’s too complicated, it will fall apart! When you plan activities, you can make them fun by also keeping it simple. This includes decorations too! #3: Don’t be afraid to delegate. One of the biggest responsibilities of a room mom is to plan and prepare. Plan you’re activities, prepare what you need, and then delegate to other parents too! Make a list of things you need other parents to bring and assign people to different activities. If you have enough volunteers, it should also free you up during parties to help oversee things and make sure it’s all going smoothly. #4: When planning activities, consider the time and the age group. You don’t want to plan something too “little kiddish” for sixth graders and likewise you don’t want a complicated craft for kindergartners. Be sure you target their age and level of understanding. Most younger kids have short attention spans so their crafts need to be fast and easy while older kids could take their time. #5: A collapsible wagon is your new best friend. This is the truth!! A collapsible wagon is really any parents best friend for everything! But as a room mom, the wagon will save you trips out to the car and headaches from things falling to the ground. They really are worth the investment and you can often find them at Costco or Sam’s Club and on Amazon for around $80 (like this one herelike this one here). They are brilliant and fold right up when you’re not using it. #6: Get things ready beforehand and organize each activity. Procrastination is not a good thing in any situation but especially when helping in the classroom! Be sure you know what things need to be done ahead of time and schedule it out. And if you’ve delegated anything to others, be sure to check in so they don’t forget either! Staying up all night to get supplies ready for a party the next day is not fun (trust me, I’ve done it!). #7: Use sign up genius. It’s just that-a genius!! Sign-up genius is a great tool to use when asking for volunteers. You can have each party and activity detailed out with exactly how many volunteers you need. You can also do this for supplies. In the past, the teachers I’ve worked with have used Google Spreadsheets. It’s nice but kind of pain sometimes. I’ve used Sign-Up Genius with other activities and organizations and it keeps things really organized. #8: Most teachers like having 4-5 “stations” for each party including a craft, a couple of games, a snack, and maybe a book or photo booth if you like doing that. For most parties, you have a few different “stations” that they have small groups rotate around to. Be sure you know what your teacher expects and plan your party around that. It makes it easy to narrow it all down and to get volunteers. Plus, you can more easily plan for supplies if you have it all organized by station! I wanted to say it again…no procrastination! Start planning now. #10: Find Pinterest boards from other moms and create one for yourself. Put your feelers out there to your friends and family and follow their boards! You can also search for boards on Pinterest. Yep, you can find entire boards, not just pins, which helps make your searching just a little bit easier. #11: Set up a Facebook group if your school doesn’t have one just for room moms. Our school already had this set up. The PTA rep over Room Moms kept things really organized for all of us and posted updates, ideas, and answered our questions. 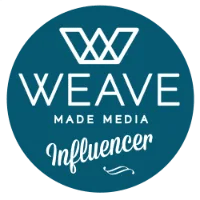 It was a great place for a newbie like me to figure out what I needed to do as well as hear some of the things that other moms were doing. #12: Don’t be afraid to ask for help. Your teacher wants you to communicate with him/her and to ask for help if you need it. Because schools can’t release contact information for parents and students, you can draft emails and have your teacher send it out for you, along with your sign-up forms. If you get sick, overwhelmed, etc. let them know and they can find the help you need! Most parents are willing to help with something but they need to be asked specifically. And most importantly…Have FUN!!! Being a room parent is a great opportunity to be involved with your school and a way to use your talents to bless your teachers and the students. What tips do you have that you’ve picked up as a room parent? Don’t forget to print off this Room Mom Organization Packet!